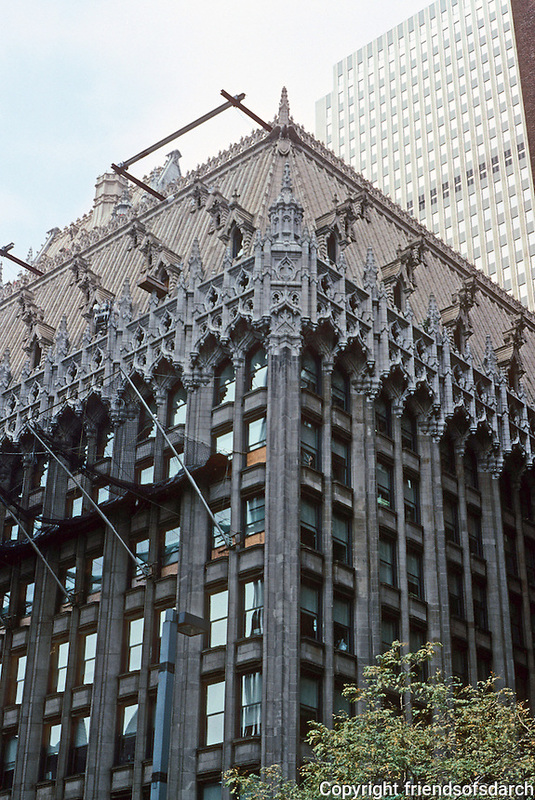 Pittsburgh: Union Trust Building, now Two Mellon Bank Center, 1916. Scaffolding over facade cleaning. Photo 2001.